The earliest and the first stage in skydiving history occurred before ballon and aircraft, we can say even before before there was an actual need for it. The second stage took place during the last three centuries when there was a requirement to be able to escape and save life from damaged balloons, airplanes and spacecrafts. The last development stage in skydiving history has been taking place from the late 1950s to the present within the sport of skydiving. Skydiving as a sport requires significantly different equipment and since 1960s there have been more improvements to the parachute than in all previously recorded history. Skydiving, so where did it all start? Who was the first skydiver? Skydiving history begins in 11 00s in China. The Chinese amused themselves by jumping from high places with rigid umbrella like structures. Leonardo da Vinci’s in 1495 sketched the blueprints for the first parachute, it was pyramid shaped and was held open by four wooden poles. On the 26th June 2000 Adrian Nicholas made an exact replica DaVinci’s model and had a successful landing. Fausto Varenzio in 1595 after he examined Leonardo da Vinci’s rough sketches of a parachute, Veranzio designed a parachute of his own. 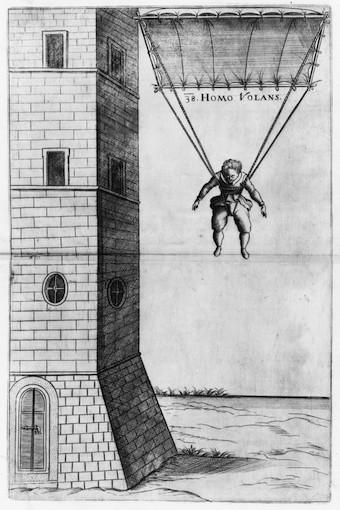 According to the story passed on, Veranzio in 1617 implemented his design and tested the parachute by jumping from St Mark’s Campanile in Venice. Modern skydiving began with Andre-Jacques Garnerin from France and his experiments and public demonstrations in 1797. Modern skydiving came into its own in 1911, when Grant Morton using a silk parachute, jumped from Wilbur and Orville Wright’s Model B airplane in California and safely landed. This brings us to World War l and ll with continuing improvements made to the parachute. 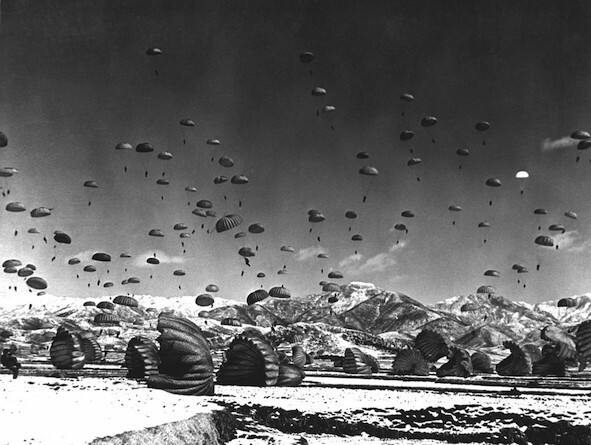 After the end of WW ll, our supermen paratroopers still loved parachute jump. Since there was no more use for the military parachutes, there were plenty to use for what became the precursor of the extreme sport of parachuting. Competitions were created and skydiving evolved into what it is today. The evolution of parachuting design continues today, with changes to keep up with advanced of aeronautics and advanced technology. – a beautiful thing to do for the right person.